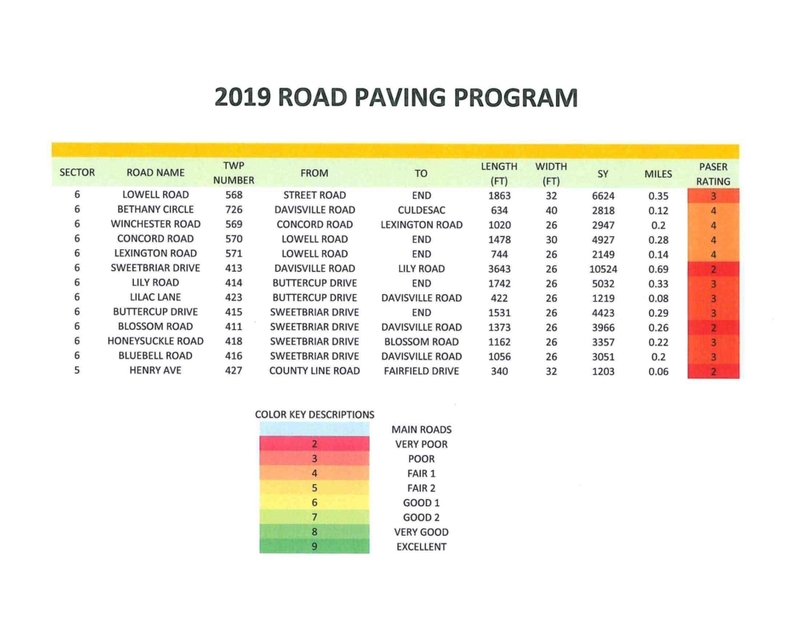 The 2019 Warminster Township Road Paving Program is soon to begin in certain neighborhoods. We anticipate to start paving around May 13, however milling and ADA curb ramps will begin before then. The program includes the resurfacing of approximately 3.5 miles of roads and the construction of 18 new ADA compliant curb ramps. For the full packet of roads to be done and contractor / contact information please click here.